It was so much fun stamping butterflies onto Window Sheet (acetate) for these cards that I got a bit carried away! So I made this card to use up the extras! 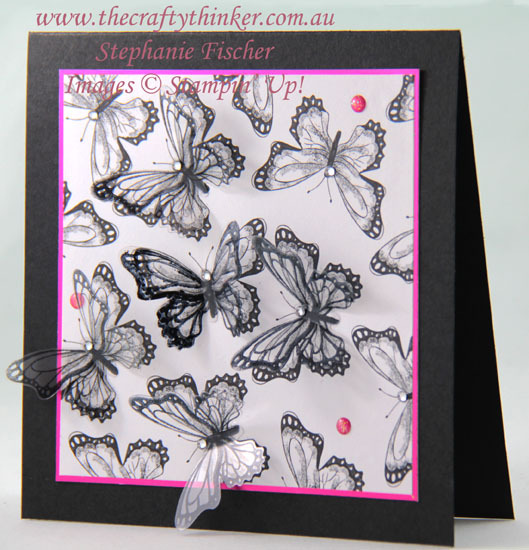 A simple but effective and elegant card full of butterflies! 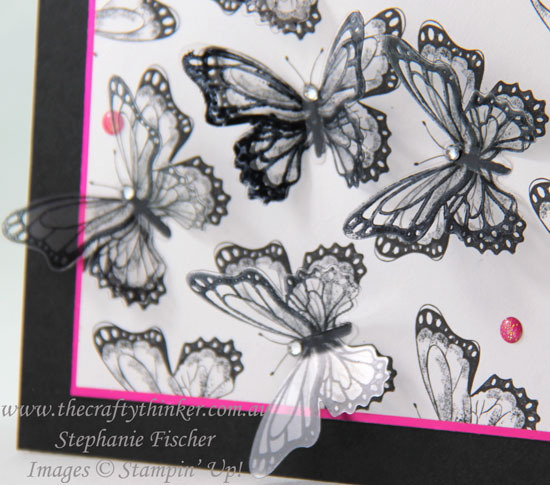 It's such a simple card - a layer of the Lovely Lipstick Foil under a layer of the gorgeous Botanical Butterfly Designer Series Paper (both Free with $90 product purchases during Sale-A-Bration) then add the transparent butterflies and some bling!